We teach and perform improv theater for 15 years, we created the improvisation company “Le Cri du Chameau” performing in Lyon since October 2010. Fond of human development, our experience taught us how Improvisation Theater support the development of human skills such as collective intelligence. The Kolinkis project offers companies a set of human competences development based on the tools used for Improvisation Theater. 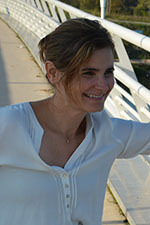 Since 2002 Helene Morre (alias Helene Lauret) was trained as both trainer and actress of Improvisation Theater while pursuing her professional experience in research and mathematics teacher. Quickly her pedagogical practices were transformed. She used Improv to generate new pedagogical tools in order to release mathematics intuition of her students. Convinced by the power of improv of transforming people, she becomes consultant and trainer for various companies. She loves leading her trainings with energy and care, in order to plunge everyone into the state of “let it go”. 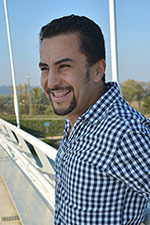 Belkacem Settouti is an improvisation actor since 1999. He is involved in various training sessions for companies and associations. His professional experiences as international Sales Manager in various sectors like textile, automotive, metallurgy help him to have a general view of what compagnies need. Daily connected to business environment, he understands very quickly problems subjected by our customers. His approach, very perceptive of business challenges, allows him to develop specific trainings. He leads his trainings with communicative dynamism and enthusiasm.